What is a Troop Financial Report? A form each troop must fill out every year that summarizes their income, spending, and remaining balance. These forms are required for Girl Scouts to maintain their non-profit status. Who Needs to Fill One Out? All troops must submit this form each year. If forms are not submitted, then that troop will not be allowed to register for the next year and their troop account may be closed. Don't wait! You don't want the hassle. What was my ending balance from last year? It is recommended that you keep copies of the TFR for your own files so you can refer to them year to year. If you did not make a copy or misplaced it - contact the Crossroads Treasurer for assistance. I don't have a checking account, do I still need to complete a TFR? Yes, you do. Even though you do not have a checking account with the bank, you should still keep all records of monies collected for troop dues and events. Keep track of all expenses and receipts. These financial transactions should be reported on the TFR and the remaining funds should be carried forward. 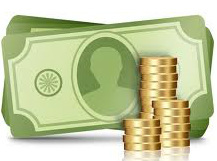 It is strongly recommended that you do open a troop checking account and run all financial activity through the account. You should never co-mingle troop funds in your personal banking accounts. This is for your own protection and the girls protection, too. Do I need to provide a financial report to my troop members each year, too? Yes, you should distribute a copy of the TFR to each family and go over the report with the girls at a troop meeting. The funds belong to the girls and they should be aware of the status of the treasury.